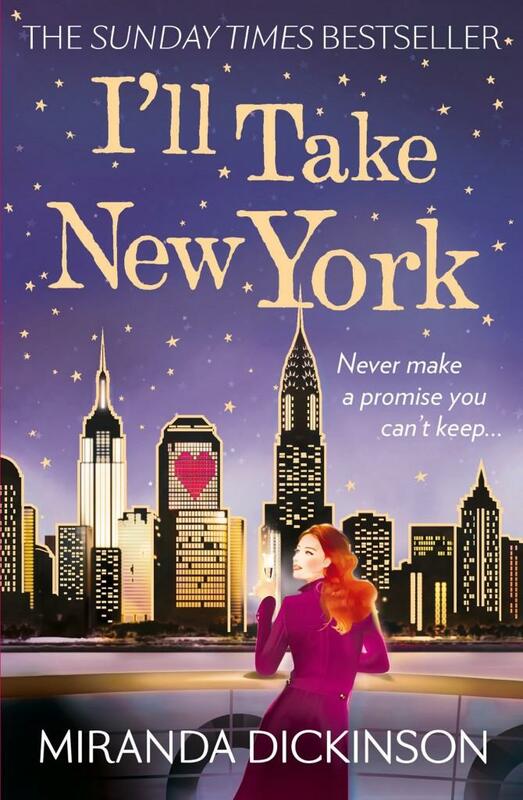 I’ll Take New York is published TODAY – and I’m over the moon to share my sixth book with you! It’s the story of Brooklyn bookshop owner Bea James and Manhattan psychiatrist Jake Steinmann, who meet at an engagement party as the only two singles and swear a Pact to avoid relationships for ever. 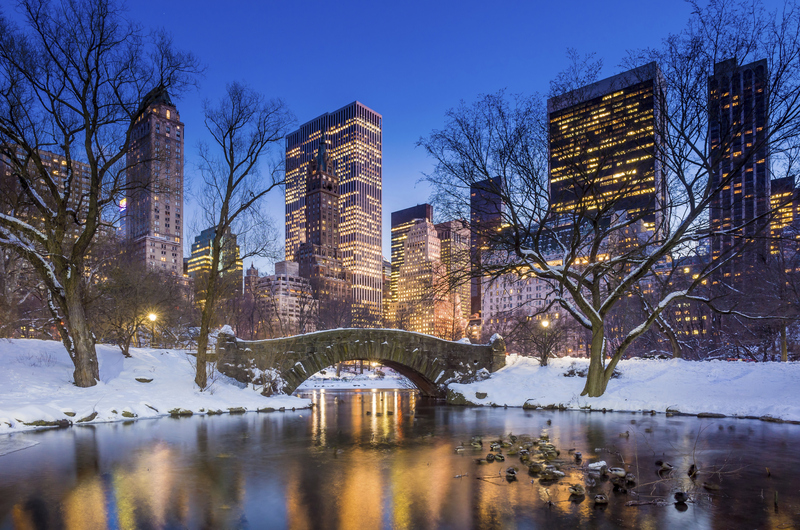 Instead, they share their love of the City That Never Sleeps with each other, swapping their favourite places in New York as their friendship grows. But will the magic of New York City weaken their resolve…? 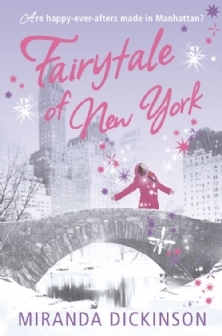 If you’ve read my first novel, Fairytale of New York, there will be some familiar faces to welcome back: Rosie, Marnie, Ed, Celia, Stewart and Zac are all here, playing their part in Bea and Jake’s tale. It’s my way of writing an ‘almost-sequel’ – letting you know what happens to the original cast of characters without breaking anyone up (or killing anyone off!) Also, if you loved my second novel, Welcome to My World, you’ll meet Harri again and find out what happened next for her! 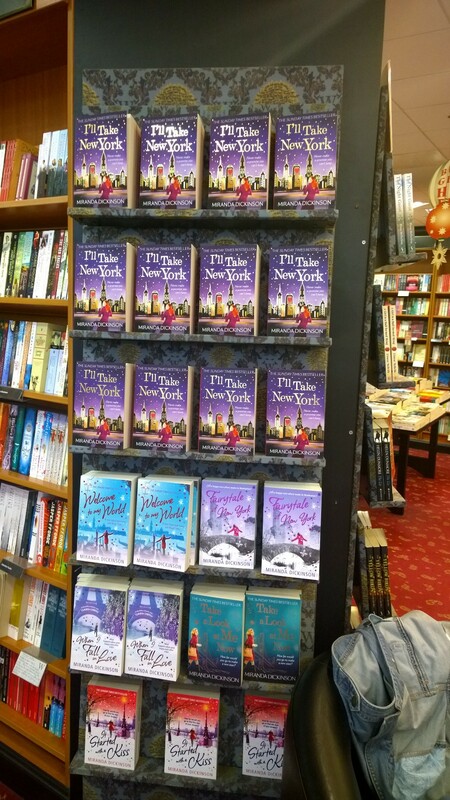 I love the idea that old friends are popping up to join the party and I hope you like discovering their new stories in I’ll Take New York! Most importantly, more than five people in the world have read (and are reading!) my stories – something I secretly dreamed of from being very little. I never thought I would be able to say that, so having readers around the world is the biggest dream come true for me. If you’ve read my books, thank you. You’re amazing. If you’ve yet to read my books, I hope you enjoy my stories. So much has changed, so much awaits – so, as I celebrate my sixth novel heading out into the big, wide world today, I’m so utterly grateful for everything that has happened. I really hope I’ll Take New York is a fitting tribute to everyone who has been involved, from my lovely Twitter and Facebook followers who had so much fun suggesting things for the book, to my fantastic agent Hannah Ferguson, who has been the biggest, brightest supporter of my work for years, to the lovelies at Avon and my editor, Katy Loftus – who is an absolute sweetheart and a dream to work with – and to everyone who picks up a sparkly paperback, nestles my book in their e-reader library or snuggles up with the audiobook. Happy P-Day, I’ll Take New York! Well, the wait is FINALLY over! I am over the moon to reveal the cover for I’ll Take New York! I’m chuffed to bits with it and can’t wait to see the finished paperback cover with its gold foil stars and lettering. It’s out with the eBook and audiobook on 4th December, but you can pre-order it NOW at Waterstones, Hive.co.uk, The Book Depository, WHSmith and Amazon. Miranda Writes 31 – Could YOU appear in Book 7? I’ve been offering opportunities for my readers to #getinvolved with my books for three years now and I love the way your suggestions spark ideas that feed into my stories. But I’ve never offered a competition like this before. I’ve written a couple of real-life lovelies into my books in the past, but never opened this up to everyone. But I’ve decided to do it now as my way of saying thank you – not just for supporting me and my books for six years, but also for coming with me as I move publishers at the end of this year. Book 7 – Anna Browne’s amazing story – will be my first book for Pan Macmillan and the beginning of a new era for my writing. So please watch the vlog and then tell me why YOU should join Anna in her story. Leave a comment below or tweet me (using the hashtag #getinvolved). Go for it! Miranda Writes 30 – Do writers need agents? Thank you so much for all your fab entries for last week’s #getinvolved challenge – I reveal the winner in this week’s vlog! I’m loving writing Book 7, even if it is currently in snatched hours between nappy changes and feeds… I’ve another chance for you to appear in the book this week, which I tell you all about in the vlog. This week’ question is one I’m asked a great deal: do writers need agents? I’ve been on both sides of the fence – without an agent for my first two book deals and with an agent for my third – so hopefully I can shed some light on the pros and cons. The lovely lady who asked this week’s question is the wonderful Joanna Cannon, who is a phenomenal writer. Click here to visit her website and read some of her work. If you have a question you’d like me to answer, ask me! Leave a comment below this post, email me at mirandawurdy@gmail.com or tweet me @wurdsmyth. All this year I am vlogging about the writing and publishing of my sixth novel, I’ll Take New York. This week, I have another exclusive extract for you, plus your next chance to appear in Book 7! Thank you all so much for your brilliant coffee shop suggestions for my first #getinvolved challenge. It was a tough decision, but I have a winner at last… and I’ll tell you who they are in the vlog! Miranda Writes 27 – YOU can appear in Book 7! Also this week, I answer your questions on which of my books is my favourite and what is the best way to get your book noticed and published.